Inequality, unemployment, degradation of our environment: these and other practical economic problems reflect faulty economic theories. We have been led astray by ideas that made some sense in the past but are unsuited to our times and by ideas that are fundamentally mistaken. 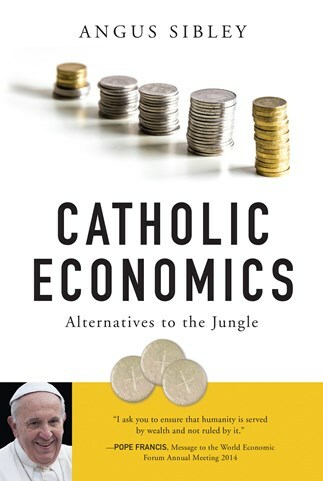 The Catholic Church has an extensive body of teachings on economic and social matters, too little known even among Catholics, which offers practical alternatives to the economics of the jungle. This book provides clear explanations of major errors in conventional economic thinking and shows how the church's teachings can point us in a better direction. Angus Sibley is an actuary and former member of the London Stock Exchange. Received into the Catholic Church at Farm Street Jesuit Church, London, in 1999, he has long been interested in the church's economic and social teachings. He is the author of The "Poisoned Spring" of Economic Libertarianism (Pax Romana, 2011) and of around one hundred articles in American, British, French, and Irish periodicals. Now retired, he lives with his wife Aurora in Paris. "This book should find its way into introductory courses as Catholic business schools throughout the U.S. and abroad. Sibley's familiarity with both the theory and praxis of the modern economy makes his critique especially telling, and his commitment to Catholic Social Teaching affords him a sound basis for that critique. The book is a tour de force against laissez-faire and should become a point of reference for anyone who thinks our new Gilded Age is a thing in need of repair and reform." Angus Sibley, fluent in the language of Catholic social teaching, as well as that of finance and international economics, bares the dangerous allure of libertarian thought. He provides us a detailed yet accessible guide, rich in history, through the jungle to a new way of thinking about economics. "I expected Sibley to be a little naïve about the conflicts of interests and distributional cleavages of today's world. . . In fact, his critique of modern capitalism is forensic and brutal, backed up by detailed and consistent sources drawn from all the Popes from Leo XIII to Francis. Sibley is scathing about individualism and libertarians who abhor regulation. Essential reading in these post-Brexit days."